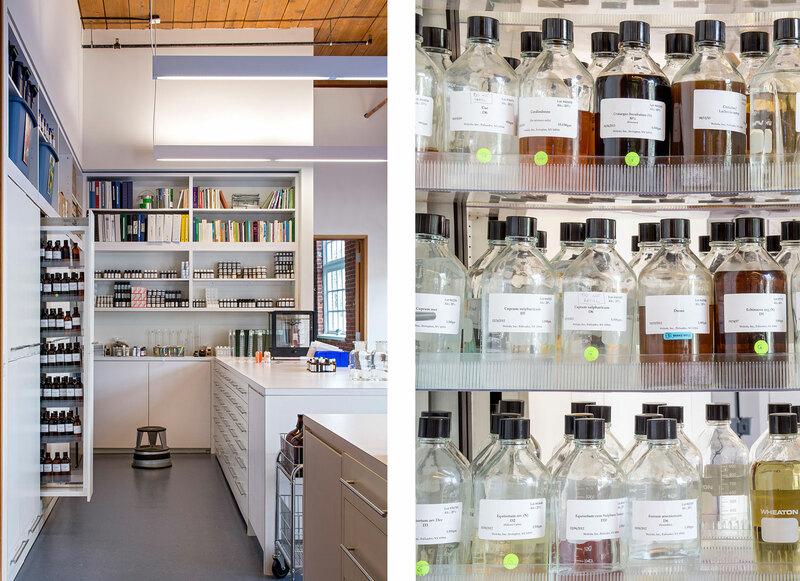 We designed Weleda’s North American headquarters within the shell of a 19th-century factory along the Hudson River. 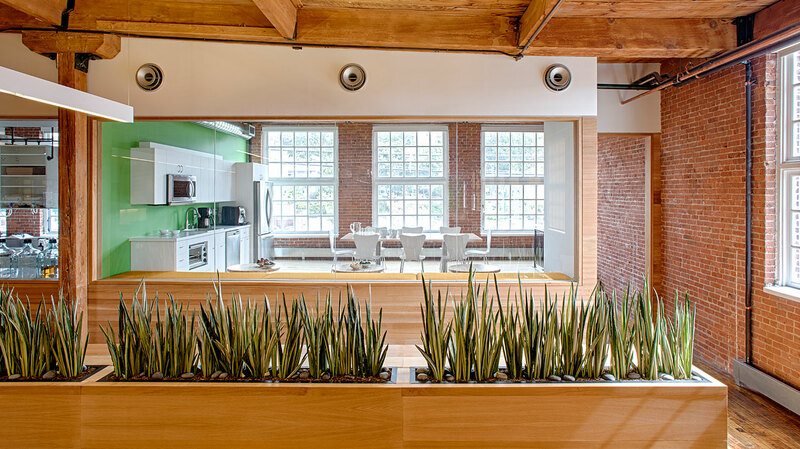 One primary design intention was to expose and highlight the raw beauty of the original heavy timber structure, its brick walls, and large windows. 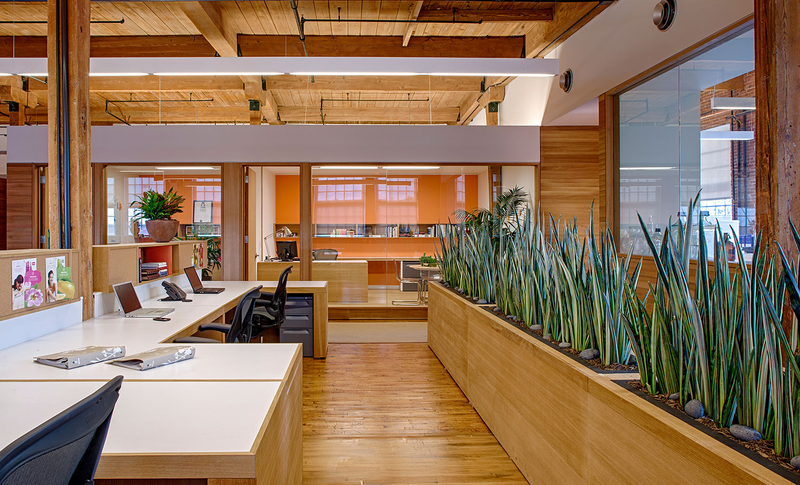 Our interventions respect the character of the original building, while clearly registering a new use. 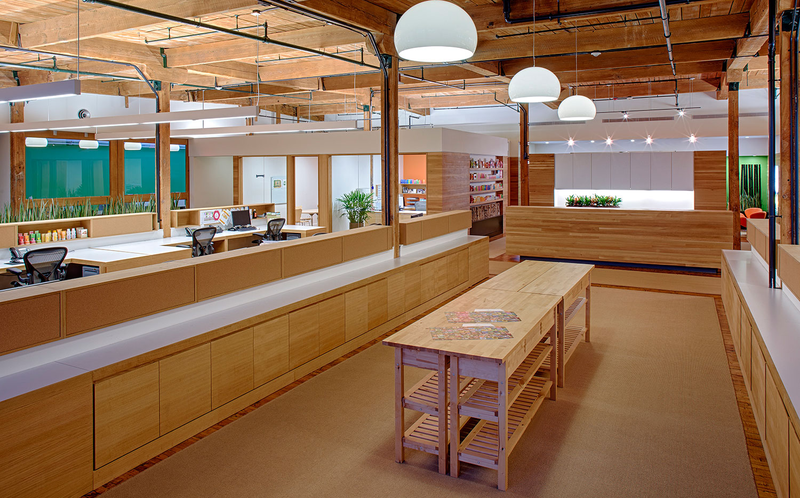 Adaptive reuse made perfect sense for Weleda, a world leader in promoting personal health and environmental stewardship. 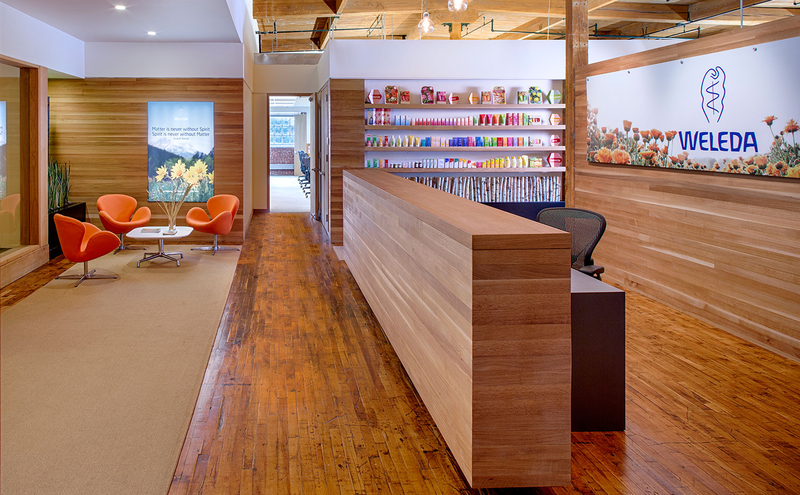 Desks, workstations, display shelving, and wall cladding were made of wood that was recycled from the other factory buildings that used to surround the Weleda building. Several woodworkers were employed as part of a local job-training program. 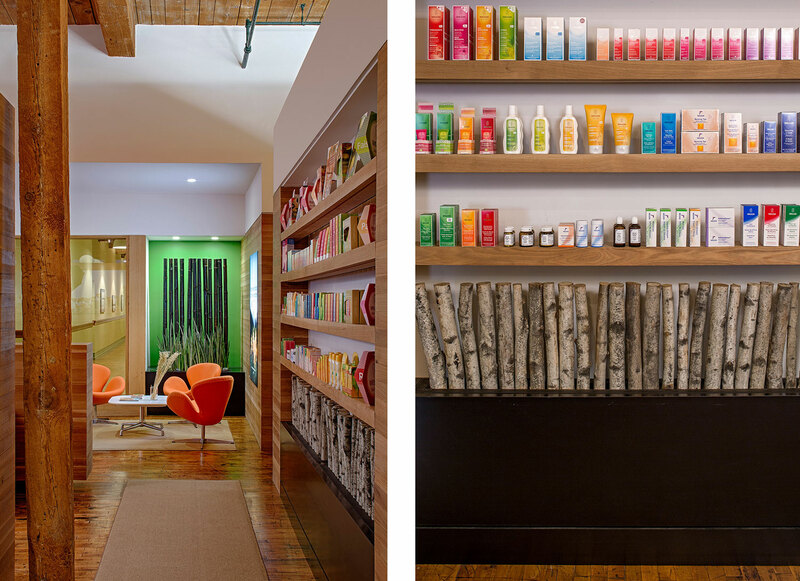 Plant-growing areas were built into the space, allowing staff and visitors direct interaction with the materials from which Weleda’s products are made. 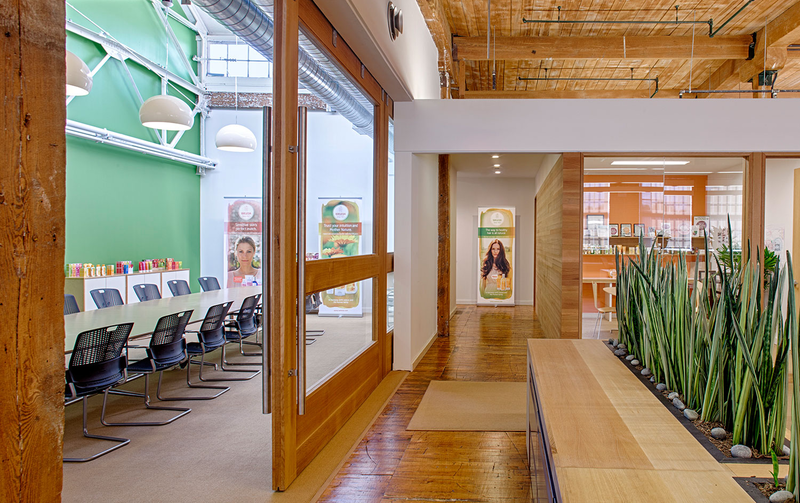 The space features not only offices and workstations, but an operating compounding pharmacy from which Weleda ships custom products to purchasers worldwide.